Everyone wants their bed to be comfortable and stylish at the same time. You want to feel relaxed, and when guests see your bed you want them to praise it. Moreover, a comfortable mattress is also very important otherwise your body will ache and cause your routine to go bad. There is one more thing that you need think of, the new bed you bring home should not consume too much space in the room otherwise you room will look congested. If you have children in your house, and one room for two or four children, then instead of choosing twin beds you should choose bunk beds. The biggest benefit of bunk beds is that it does not occupy too much space. Bunk beds also look stylish and children really like these bed. They have fights between them over who get to sleep on the upper chamber because it is more exciting as you have climb up the ladder and then sleep on top. The view of the room can be great from the top. There is not even danger of the child falling because the upper bed is surrounded by rods. Bunk beds can also be used in the dorm rooms of colleges because they are small and twin sized beds may take up a lot of space. Two boys or two girls can easily sleep in one dorm room with a bunk bed. Even at places where different friends live together, bunk beds can be used. 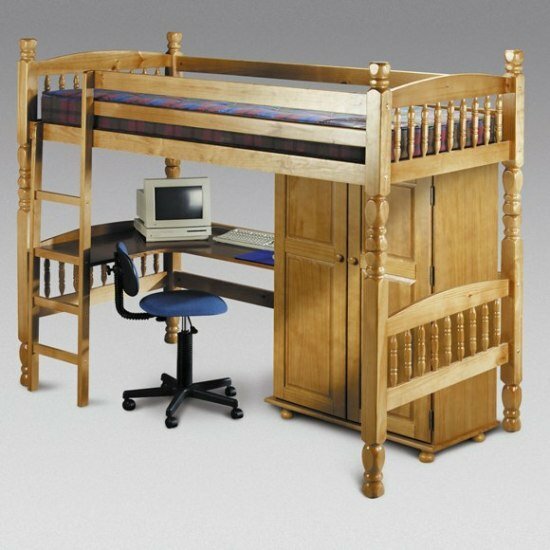 Bunk beds are not at all difficult to carry as they can be separated when transporting them from one place to another. The mattress can also be separated from them. They are available in so many designs and you should definitely look at how colorful and fancy designs the children bunk beds have. They can make your room look amazing.